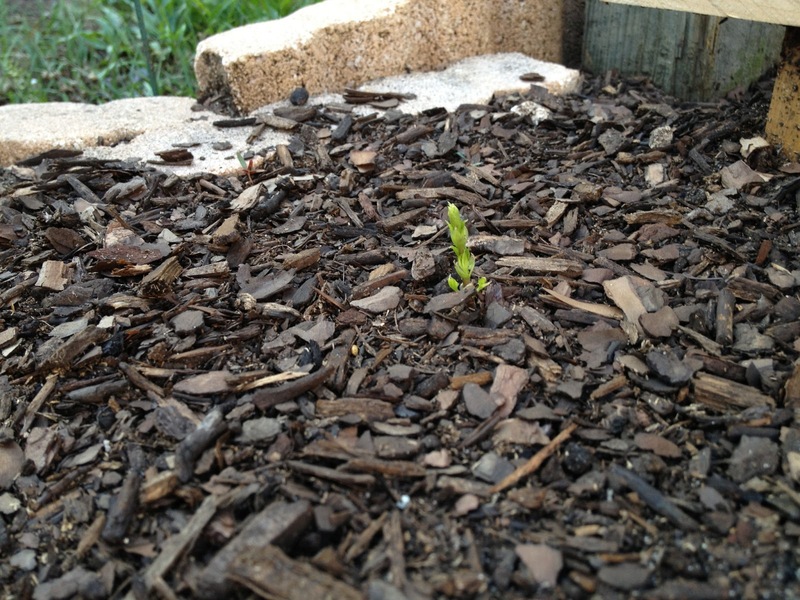 Centennial and Chinook, in the ground. Here is their story so far. 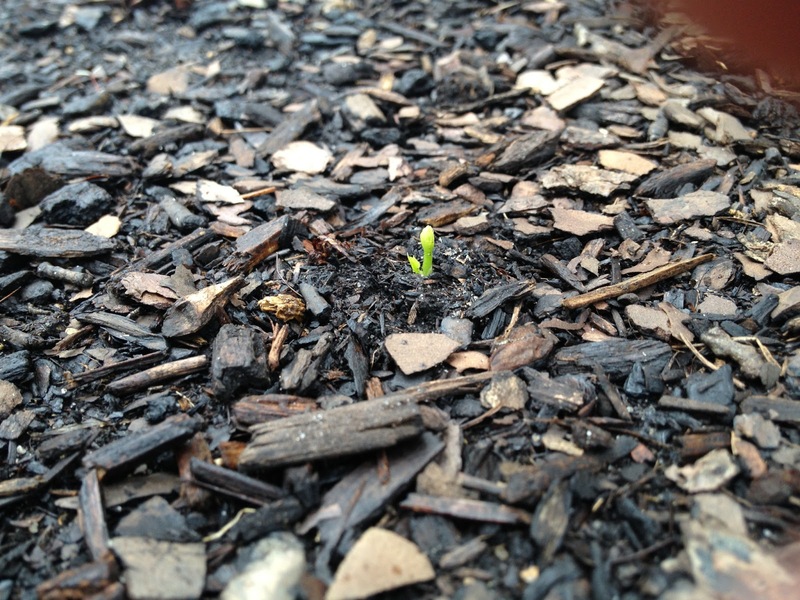 Centennial: After two weeks, it popped out of the ground. 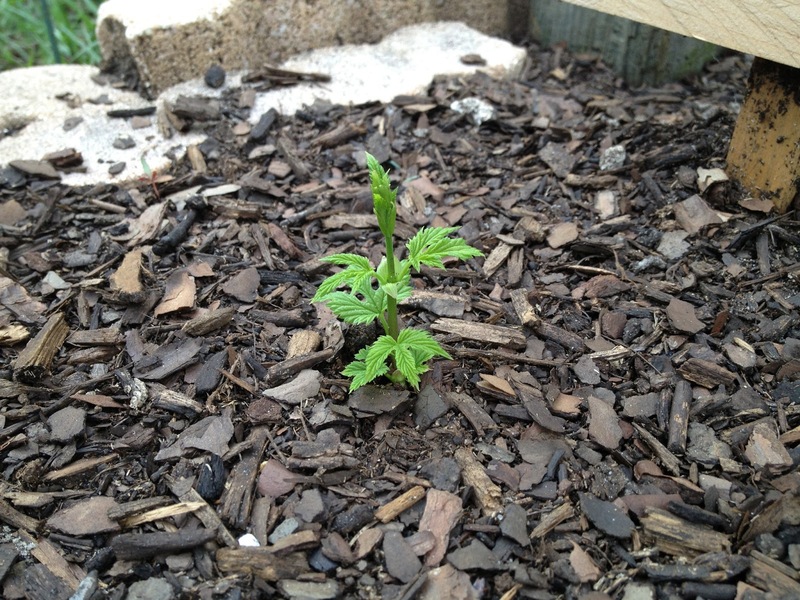 Meanwhile, the Chinook hasn't broken ground, for over 3 weeks. 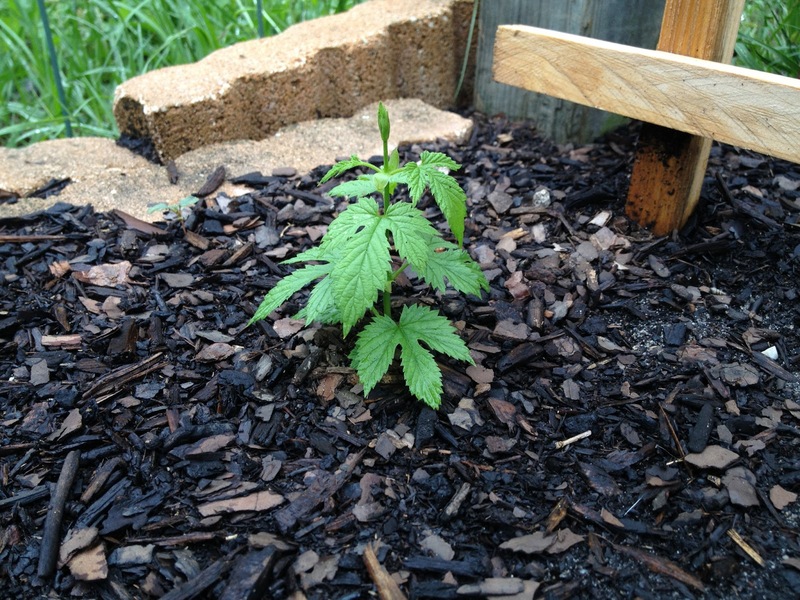 After week 2, I dug it up to reveal that it had indeed been growing. A small green shoot started to work it's way toward the free air. I thought perhaps I buried it too deep, and replanted it closer to the surface. Another week and still nothing... until today. And here is the start of the Chinook.